Stansted FC – What a difference a year makes. 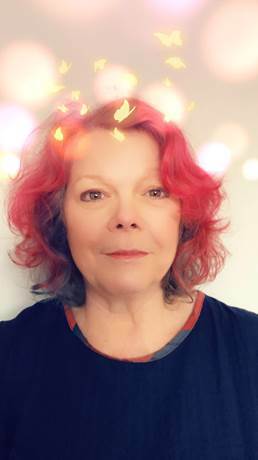 THE DIRECTOR of Safeguarding and SEND at Harlow College has dyed her hair red, aubergine, and dark blue in support of her son’s efforts to raise money for Diabetes UK. Pauline Leggett, 65, has worked at the college since 2000 and has raised £205 thanks to donations from college staff. Her son, Sam Carter, 38, was diagnosed with Childhood Onset Diabetes at the age of five. When the prognosis was given in 1985, it was thought it would lead to long-term problems such as loss of sight. Despite his prognosis, Sam has remained incredibly healthy as displayed by his recent achievement of running three marathons in three weeks to raise money for the cause. He completed the Rome, Brighton, and London marathons in April this year. Sam’s condition has been aided by access to some treatments unavailable on the NHS, as explained by his mother. Mrs. Leggett said: “He is benefiting from an implanted blood monitoring system that does away with the need for finger-prick blood testing and he is about to be fitted with an insulin pump that will deliver insulin as required automatically. A total of £1,250 has now been raised for Diabetes UK thanks to the efforts of mother and son, and they still hope to achieve more through a fundraising event in the Harlow College car park on Saturday December 8.